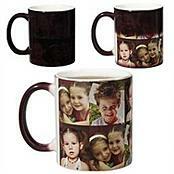 Hubby likes to drink coffee and i am thinking he will like if i will buy him a personalized gifts just the coffee mug. I will put the picture of him with our kids and then i wrap the gift and send it to him. He will be surprised if he received a gift. There are many to choose from their gifts for men so if you are looking for any item or items just browse from the link above. Besides of a mug i also like the hat or a jacket. Well, its confusing sometimes what to give for men. Great idea.He will love to have coffee in personalized mug.Even I am planning to give to my daughter so that she drinks milk. Personalized gifts are always special as you can write your own message or you can add your own picture .As per your choice you can make .And that’s very cute.